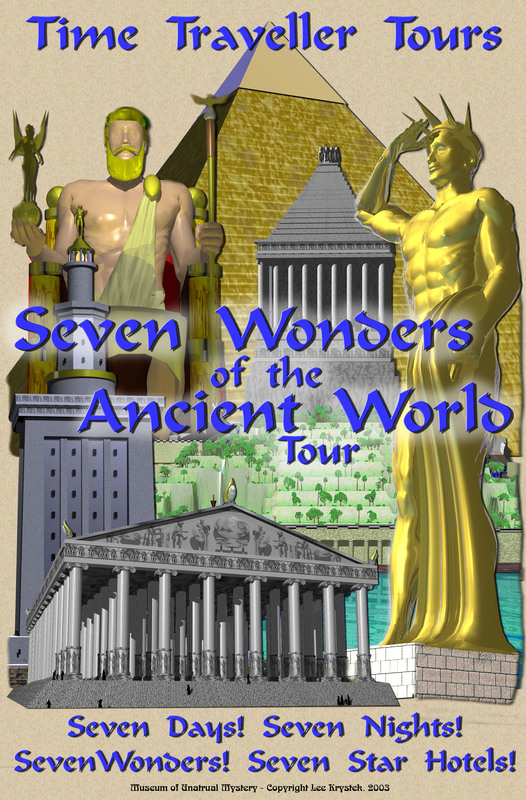 This is our Seven Wonders of the Ancient World Poster. Free to print out and use in your classroom. 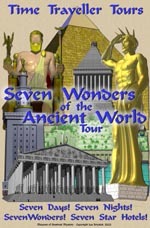 It requires a large format printer to produce a poster 28x40 inches. 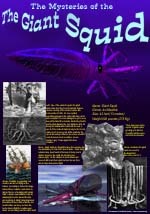 To select the poster in Powerpoint format (PP is often used with big format printers) - Click Here. 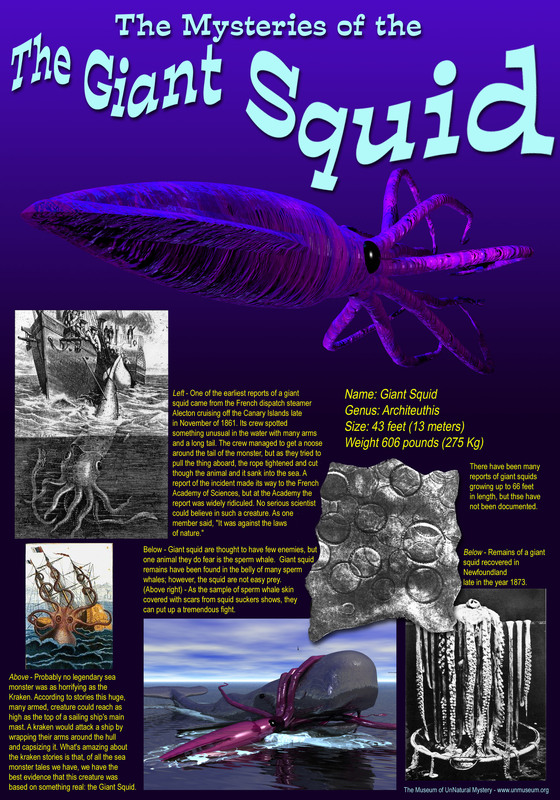 This is our Giant Squid information poster. Feel free to print it out and use in your classroom. It requires a large format printer to produce a poster 28x40 inches. 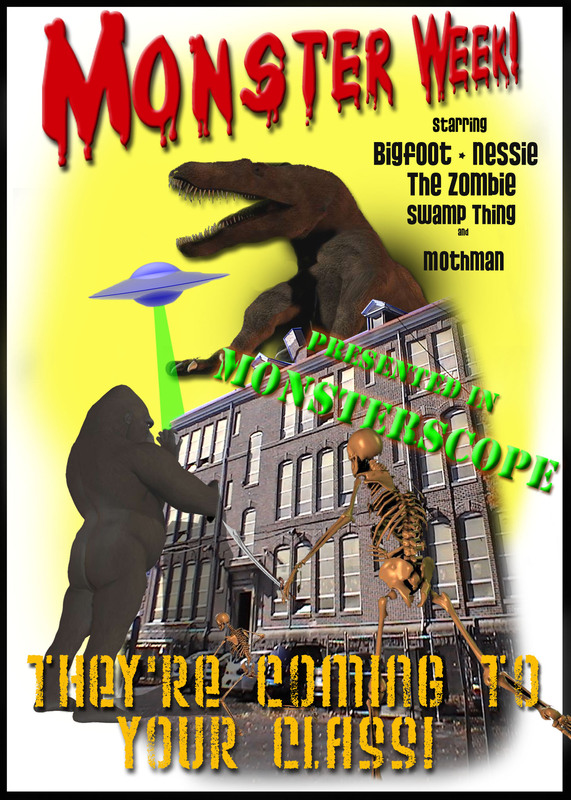 This poster I developed for a unit called "Monster Week" to be used with Judith Herbst book Monsters. Feel free to print it out and use in your classroom. 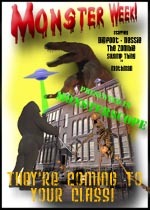 It requires a large format printer to produce a poster 20x30 inches. Two stories I wrote on my personal experiences of learning to teach. The Witchcraft Trial Simulation - Designed to give your students a feeling of what it was like to be sucked into a witchcraft trial. This file has instructions that can be printed out and placed in each area as a reminder of the choices you can make. 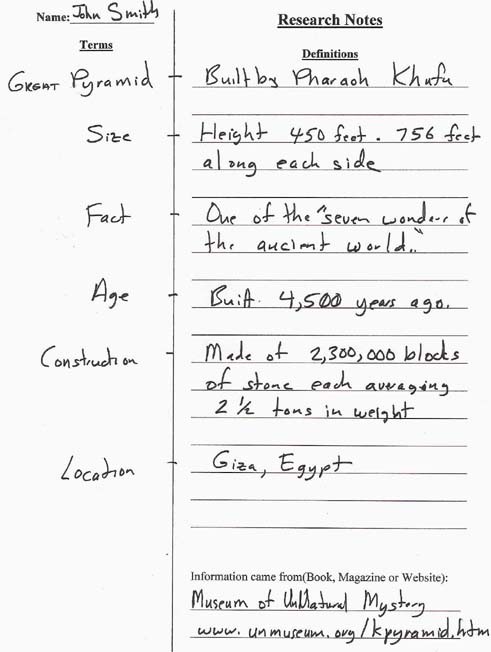 Research Notes Template - A form designed to guide younger students on taking notes Click here for an example page that has been filled out.